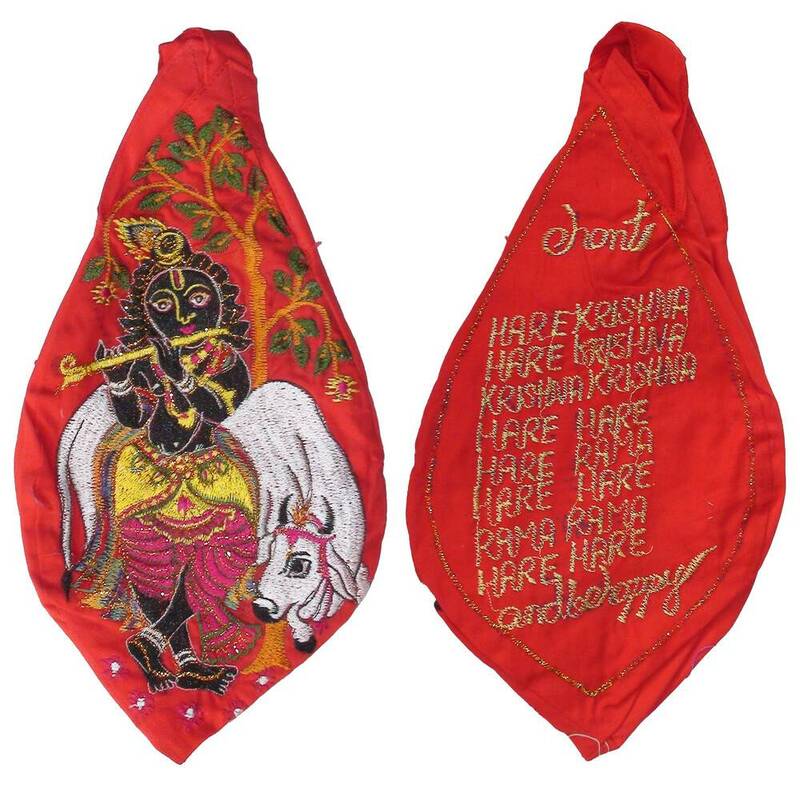 Embroidered japa bead bag with Krishna playing His flute in front of a cow on the front and the full Hare Krishna maha-mantra on the back. Large size. Includes zip pocket. Dhoop Pure Incense Sticks 3.5"